Ship Air Forwarders Pvt. Ltd. is one of the reputed & leading Freight Forwarding and Custom House Agents in India. Our Mission is to provide complete EXIM solutions to our clients. We take particular care to build relationships with our customers by providing personalised service assuring peace of mind and confidence that your cargo will be handled efficiently and professionally. Whether its import or export, by sea, air or land, we work with you to deliver on time. 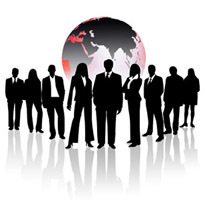 We have been serving large public and private sector organisations in India to their satisfaction. We are one of the very few well-constituted Custom House Agents with a clean record and a reputation of integrity, sincerity and convincing power. We are having our offices conveniently located at strategic locations near Sea Port and Air Port. The company is also equipped with the most modern information technology systems for delivering quick and efficient service. 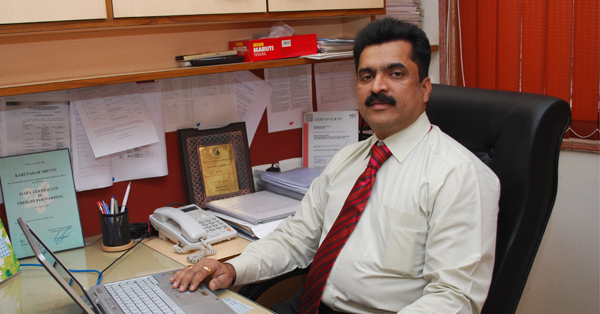 Mr. Karunakar Shetty, founder of Ship Air started his career in the logistics field in the year 1982. Mr. Shetty started his career working for a logistics company eventually starting his own venture in the year 1989, travelling a long way in a short time. Ship Air was formed to deliver quality service in the field of logistics. An experienced logistician Mr. Karunakar Shetty is, proficient in planning and delivering efficient logistics solutions giving him the ability to lead a company that specializes in cutting edge logistics solutions. Mr. Shetty has been actively contributing towards the progress of the industry in various capacities as a Managing Committee Member of the BCHAA (Bombay Customs House Agents Association) since 1998. He is also a Governing Council Member of the MACCIA (Maharashtra Chamber of Commerce, Industry & Agriculture) since 2006 and heads several trade committees. A multi-faceted personality with an active interest in the physical development of young people, Mr. Shetty has also been active working with various sports bodies. He is the Vice President of Poinsur Gymkhana, President of Borivili Malkhamb Association and a Managing Committee Member of Mumbai Suburban District Malkhamb Association. One of the major strengths of Ship Air is the involvement of Mr. Chandrakant Kamble and Mr. Deepak Vichare the other two Directors of the company in the day-to-day operations. The two Directors interact with the staff, guiding them in all their activities and ensuring quality and timely service. Our team is made up of some of the finest in the industry and we take pride in being known for our unparalleled customer service. The quality of our work results from the enthusiasm, experience and energy level of our employees. we believe that our most important asset is our employees. Motivation for continuous involvement and all-round development of our people is an on-going way of life at Ship Air.